What Does Code P0738 Mean? The transmission control module (TCM) uses a combination of sensors (speed sensor, TPS throttle position sensor, crankshaft position sensor etc…) and the ECM to monitor and adjust various function of the transmission system. In this code, it describes a malfunction within a specific circuit. The output control circuit is a specific circuit within the TCM electrical system. Locations, specific procedures and desired values will all depend between manufacturers, so you most definitely will need a service manual to diagnose this code. You may find that this particular circuit is referring to a circuit within the engine speed sensor, AKA: Crankshaft position sensor (CPS), monitoring system. The TCM monitors many things, including engine speed to determine shifts among many other things. The TCM monitored a certain value go outside of the desired values and communicates to the ECM to activate the code and your engine light comes on. What are the common causes of code P0738 ? What are the symptoms of code P0738 ? How do you troubleshoot code P0738 ? Make sure system voltages are all up to desired values and make sure your transmission fluids are clean and up to proper levels. These need to be verified before proceeding. Repair or adjust any issue that needs to be addressed and clear codes. If light still comes back on, proceed to next step. Visually locate and inspect CPS. This sensor most likely will be mounted on the engine on either end of crankshaft. Inspect the connector and harness of the sensor for any damage. You may need to also test the sensor itself for resistance, although if the sensor were defective you probably would have another active code pinpointing the sensor. 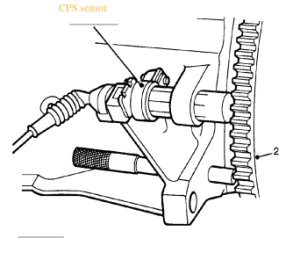 If you find a defective CPS sensor, replace with OEM part. Proceed if code is still active after repairing and clearing code. Inspect the TCM and harness involved. Locate the TCM. Locations vary but some common ones are: mounted to transmission, under hood on firewall, fender wells or even in the interior of the vehicle. Once located, inspect the connectors and harness for damage. Check for looseness in the connection, it may just not be on properly or the locking clip may be broken, in turn, not allowing pins to make sufficient contact. Repair any issue and clear codes. if code reactivates, proceed to next step. Check circuits. 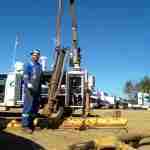 You will have to verify specific wires to test. To locate wire, you have to refer to wiring diagram in the service manual. Once you find the wire on the diagram, there may be a number referring to the specific wire. These numbers may be on the connector themselves. Always refer to service manual for specific procedures and desired values. Using multimeter, measure specific circuit electrical values and make sure they are within desired scope. If they aren’t, you may need to repair the wire or connector that may be causing your issue. If everything checks out, proceed. Verify TCM functionality. You may be able to do a few checks to determine an internal problem within the TCM. Whenever you disconnect a connector , always inspect the pins on the connectors and modules. Given the complexity of these systems, it would be a good idea to bring vehicle to repair facility. A small mistake when doing any electrical testing or repairing may cause you to have to spend lots of money on top of current issue. Even if you find a problem within the TCM, you may need to program the new module with specific manufacturer tools. TECH TIP: When measuring different values within a circuit, its a good idea to wiggle the harness and connector, monitoring multimeter. If values are erratic, it gives you an idea of location of issue within the system. Depending on location, you may need to slice loom open to access affected wire. Careful not to nick another wire and causing more issues. None found. Ask a question about P0738. I have a 2012 mazda 6 which has just begun throwing the PO 738 code. Not able to find much information on iot. Can you help.